It is beneficial to know your hair growth rate. The hair growth rate is how much your hair grows each month. On average, hair grows 1/2 inch per month. Some people grow more, while some grow less. Not knowing your normal hair growth rate, makes it harder to know when your growth slows or if a growth product or technique is working for you. 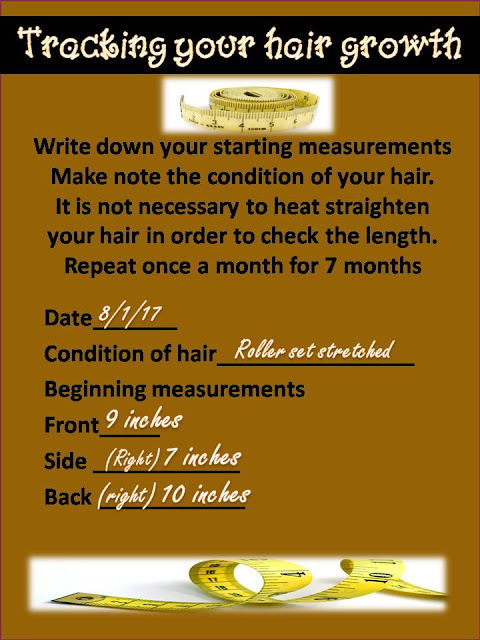 Measure you hair in 3 different areas, every month, for 7 months. Take the average from those 7 months of growth. That will give you a good ideal as to how much your hair grows each month. Make note of anything major you do to your hair during this time. Things such as: trims, hair color, extensions, major breakage, health issues, etc. Depression, menstral cycles, anemia, thyroid issues, pregnancy can also greatly affect your hair growth. 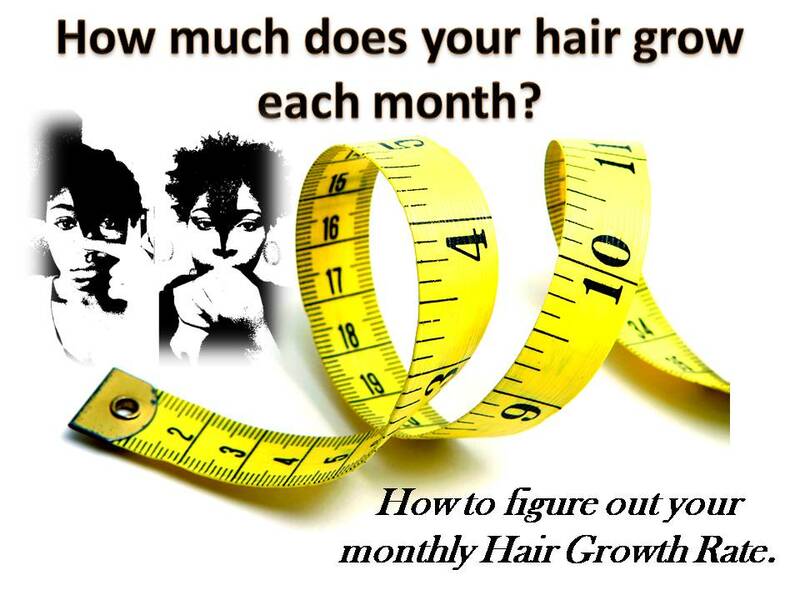 Since you are tracking hair growth it would be best to not trim you hair during the 7 months. Trim your hair before you begin, if you need a trim. It is unnecessary to heat straighten your hair, for simply checking the length. You can do a length check on your hair in its natural curly state. You can also stretch your hair by two strand twisting it, letting it air dry in a ponytail or air dry in magnetic rollers. Measure your length on one side. Make a clear note as to the side you choose. Left side or the right side. Take pictures of your measurements if that works better for you. Measure the bottom back area. Choose left or right side. Record all your starting measurements. Repeat these measurements every 30 days, for 7 months. Record how much growth you gain in each area. Do this for 7 months and that will tell you how much your hair grows on average per month. Your HGR which stands for hair growth rate.